The solution: Baby Kale | This RD Eats! We have all heard how great kale and other dark, leafy green vegetables are for us, the problem comes when we try to use them. What does one do with Kale and leafy greens (that doesn’t include lard or bacon grease)? Kale tastes similar to spinach, but the texture is firmer and the taste a bit stronger and more bitter. One of my favorite ways to use kale is baked kale chips. They are a crispy (whispy is a good adjective) and delicious snack that my family loves. They aren’t hard to make, but because they don’t keep for very long, you have to make them as you want to eat them. That is great, in theory, but as a working mom of 2 young kids, perfect timing isn’t always realistic. Plus, the added steps of washing, drying and tearing the kale into pieces slows us down when we really want a snack. My second favorite way to eat kale is to add it to soups. It adds a beautiful green color, great nutrients and it holds up well to cooking. But again, let me remind you that I work fulltime and have two young children. Time is at a premium. I have recently (okay, it has been nearly 1 year) discovered a wonderful product that helps me use kale without all the fuss. What is this nutritious and convenient product, you ask? Baby Kales! Tah-Dah!!! Isn’t it beautiful? This product is great for so many reasons. 1. It is in a plastic clamshell so smashing is minimized. 5. Adorable! I mean, what isn’t to love about baby kales? Plus, since discovering this great treat in the produce section we have been adding it to our fresh lettuce and spinach salads and haven’t looked back since. Even my 2 and 3 year olds dig in. How do you eat your green leafy vegetables? 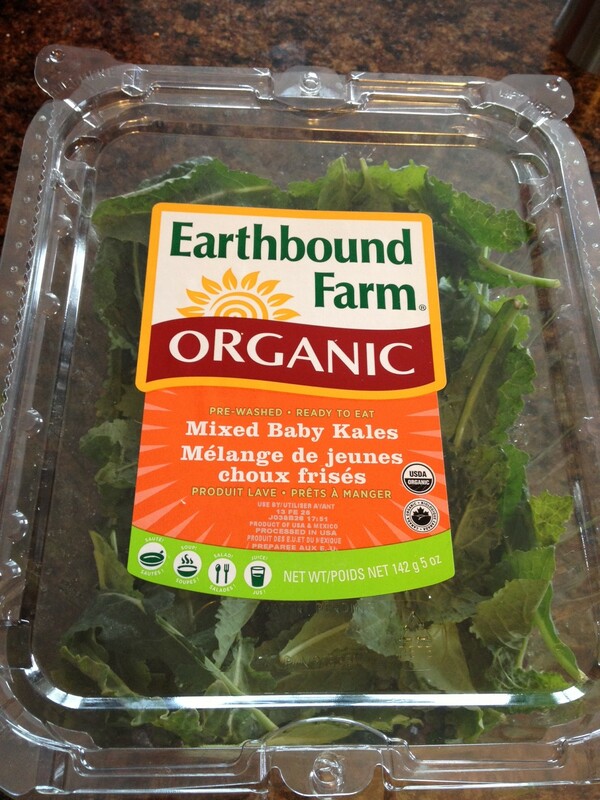 This entry was posted in Products and tagged kale, kale chips, leafy greens, products. Bookmark the permalink.